Yacht registration in Belize is a straightforward and quick process, with most applicants receiving their license within the same day. There are no restrictions on the type or size of the vessel and yacht owners are not required to have a local crew. Our Belize company formation agents can help you with complete guidance on boat registration, irrespective of the commercial or personal leisure use of the vessel after registration. Yacht owners in Belize benefit from full ownership and there are no requirements for local participation in ownership. Any legal or natural person may apply for yacht registration in Belize and there are no restrictions whatsoever regarding nationality. Yacht registration may be provisional or permanent. The provisional one has a duration of six months while the permanent one can have the duration of two or five years, as selected by the yacht owner. Investors who open a company in Belize that offers cruise and other touristic services should consider the vessel registration step before entering into any commercial activities. The Merchant Ship Registration Act is the main legal framework for the registration of all types of vessels in Belize. The Registration Department belonging to the International Merchant Marine Registry of Belize receives the application for yacht registrations, as well as all other types of vessels. - the application for the Maritime Ship Station license. 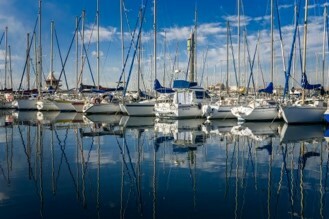 Different requirements may apply to commercial yachts compared to private ones. We recommend that you discuss any particular registration aspects before commencing the registration procedure. You can contact us if you are interested in knowing more about doing business in Belize and the conditions for foreign investors. Our team of agents is ready to answer all of your questions regarding Belize company registration and can assist yu throughout the company formation procedure.